Egan Bernal to win the Giro and Chris Froome to take the Tour, according to Alberto Contador - Top Story. A very full EuroTrash Thursday: Riders for the Great Ocean Race and Vuelta a San Juan, teams for Paris-Roubaix, Flèche Wallonne and Liège-Bastogne-Liège, Tour of the Alps'19, Scheldeprijs to start in the Netherlands, Giro d'Italia news, Romain Bardet and Fabio Aru make plans, Tosh Van der Sande cleared, De Rosa unveils Caja Rural-Seguros RGA's bikes, Rouleur Classic in Melbourne, Belgian race radio on-line, Gazprom-RusVelo testing and goodbye Mathew Hayman. TOP STORY: Contador: "Bernal for the Giro, Froome for the Tour"
Alberto Contador thinks that Egan Bernal is the favorite for this year's Giro d'Italia: "His potential is enormous; it makes me scared," Contador told La Gazzetta dello Sport. The retired Spaniard thinks Chris Froome can win his 5th Tour de France in 2019. "He has it in his legs, and if many competitors choose to do the combination of Giro and Tour, they make it easier for Froome in France. Because not all riders can recover their Giro efforts within a month." "You can win both Giro and Tour in the same year. You need a suitable course and a very strong team. In 2011 I prepared the Tour of Italy at my peak, after which I started in the Tour de France. I did well, but I had a bad day and then it was over. Anyway, in 2018, Dumoulin came near the victory in Giro and Tour with a consistent level in both races, Froome had the same." The only rider that Contador thinks is able, is Vincenzo Nibali: "One of Nibali's winning keys is that he rarely gets a bad day. Quintana and Aru? Many people think they are already over their top. They know that and they could benefit from it." 'El Pistolero' retired at the end of 2017, does he regret it? "I could have continued for two or three seasons. I also had good offers, but I had to concentrate on other things in my life, like becoming a father. I miss the competition, but I do not miss things like the food diet or the fear of crashes." 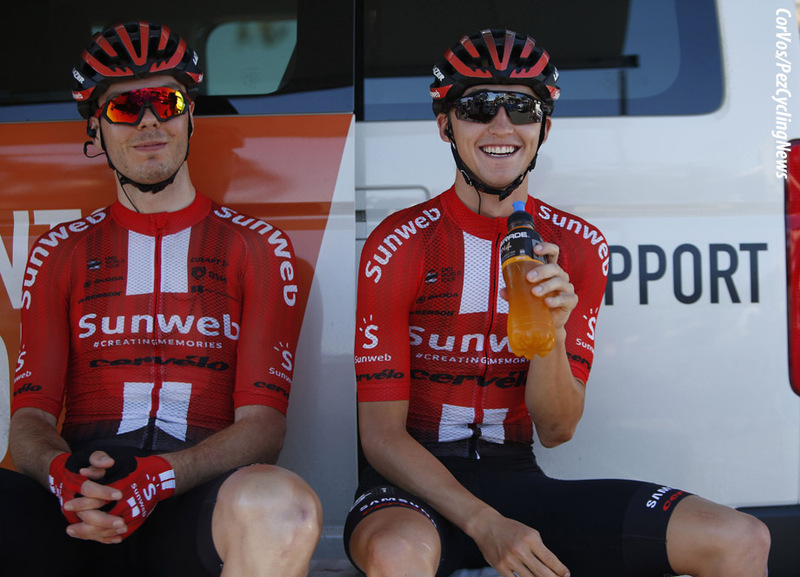 Luke Roberts - Team Sunweb coach: "On Sunday we are returning to CEGORR, the scene where Nikias [Arndt] picked up the victory two years ago. This year we don't have a real fast guy to be in what is usually a select group at the finish. 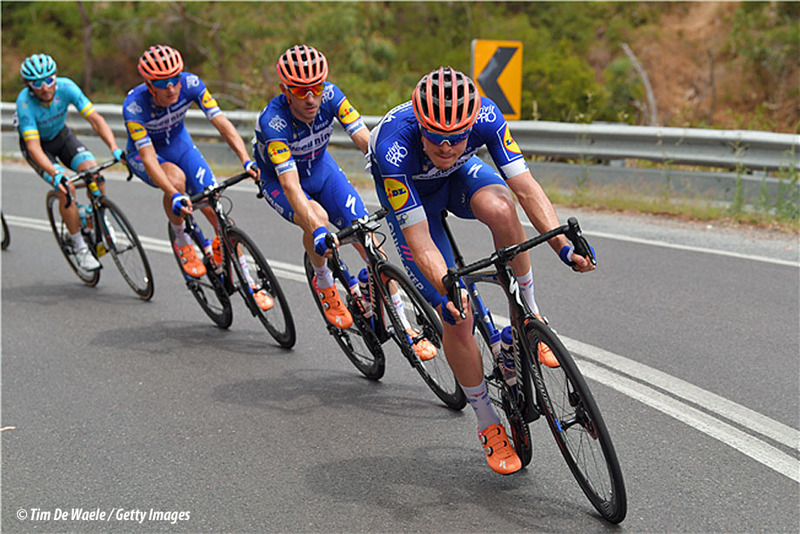 With our young Australians, we will apply a more offensive approach and try make the race a bit harder and hopefully that select group at the finish can be smaller than previous years with less fast men in there. We hope to have a good result with Chris - he's shown he has great legs at the Tour Down Under with 6th in the GC and a white jersey win." Cees Bol (NED), Johannes Fröhlinger (GER), Chris Hamilton (AUS), Jai Hindley (AUS), Max Kanter (GER), Michael Storer (AUS), Max Walscheid (GER). Rémi Cavagna (FRA), Dries Devenyns (BEL), Mikkel Honoré (DEN), James Knox (GBR), Michael Mørkøv (DEN), Fabio Sabatini (ITA), Elia Viviani (ITA). Sports Director: Rik van Slycke (BEL). The breakaway specialists will get their chance on stage 4, which will be followed by a rest day that precedes the race’s queen-stage to Alto Colorado (2,565 meters). The final two days of the Vuelta a San Juan shouldn’t bring any changes to the general classification, with the sprinters expected to shine again after having survived the mountains. Joining Petr for Vuelta a San Juan (January 27 – February 3) will be Tour de France KOM winner Julian Alaphilippe, double Junior World Champion Remco Evenepoel – who will make his pro debut in South America – Alvaro Hodeg, one of the best neo-pros of last season, the experienced Iljo Keisse and multiple San Juan stage victor and home favorite Maximiliano Richeze. 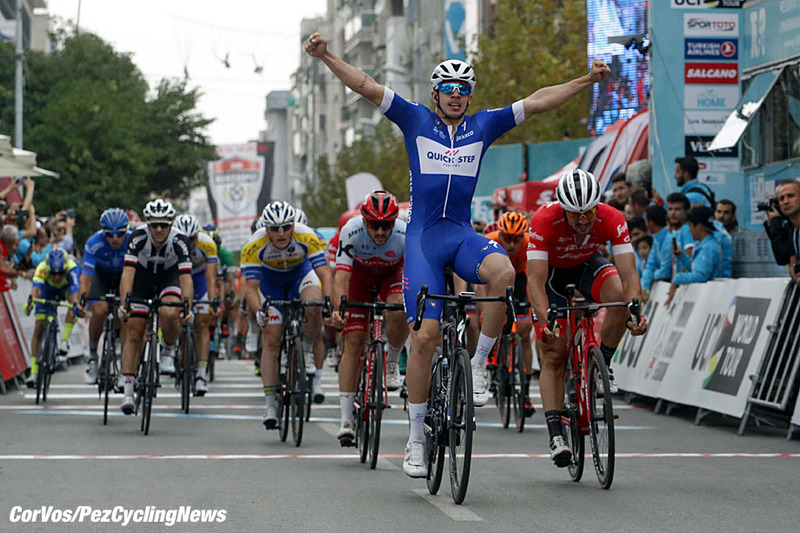 Julian Alaphilippe (FRA), Remco Evenepoel (BEL), Alvaro Jose Hodeg Chagui (COL), Iljo Keisse (BEL), Maximiliano Richeze (ARG), Petr Vakoc (CZE). Sports Director: Davide Bramati (ITA). 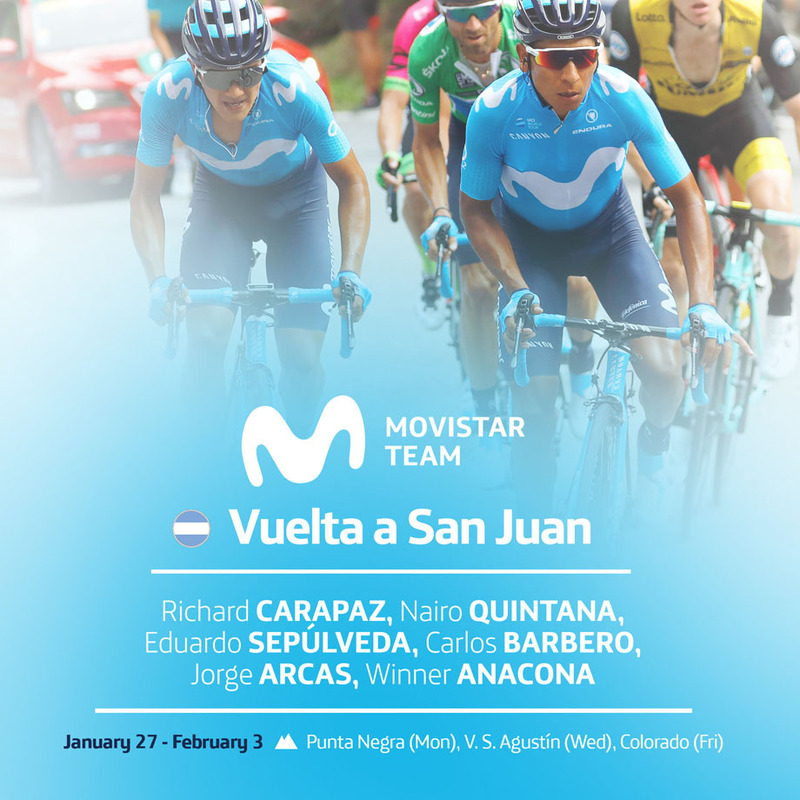 Following their official season opener at the Tour Down Under, the Movistar Team will kick off a short tour across Latin America this weekend with the start of the 37th Vuelta a San Juan, over seven stages - plus one rest day - from Sunday 27th February to Sunday 3rd February. Richard Carapaz (ECU), Nairo Quintana, Winner Anacona (COL), Jorge Arcas, Carlos Barbero (ESP) and local Eduardo Sepúlveda, in his second year in Blue colors. The Argentinian stage race - the Movistar Team set to arrive on Friday to complete their acclimatization to the summer weather - features a 12km ITT at Pocito (Tuesday 29th) plus three mountainous stages: the circuit around the Punta Negra dam hill (st. 2, Monday 28th); a long ascent before Villa San Agustín's finish (st. 4, Wednesday 30th) and, most importantly, the Alto Colorado (19km at nearly 5% average), the decisive point of the race on Friday 1st February. 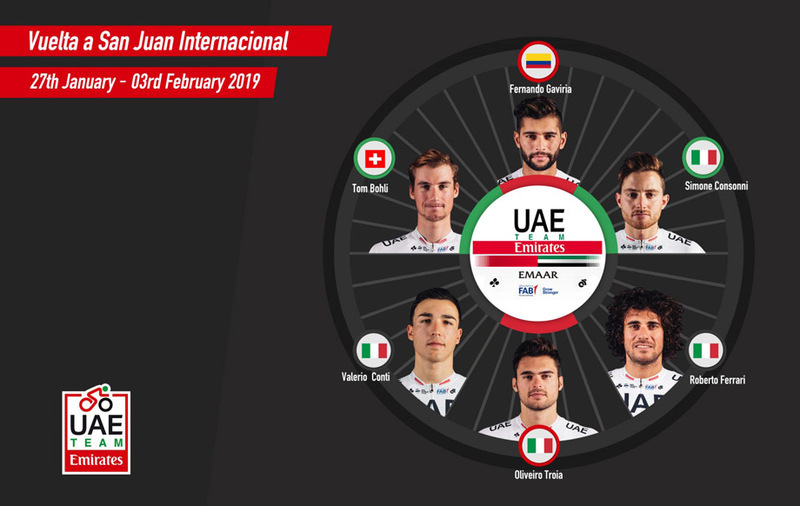 Fernando Gaviria will debut in UAE Team Emirates’s colors in the Vuelta a San Juan, January 27 to February 3 in Argentina. “I’m returning to Argentina and San Juan with pleasure,” said the Colombian sprinter. “I have good memories: in 2017, I won two stages and in 2018, before pulling out due to a crash in the fourth stage, I was able to win a stage. This year, I hope to repeat the success from two years ago." Seven stages with a day of rest are on the menu in Argentina: four stages should suit the sprinters, one time trial of 12 km, a stage for the all-rounders, and one for the climbers. Tom Bohli (Sui), Simone Consonni (Ita), Valerio Conti (Ita), Roberto Ferrari (Ita), Fernando Gaviria (Col), Oliviero Troia (Ita). The organizers of Paris-Roubaix have chosen the teams for the 117th edition of the “reine des classiques” (Sunday, April 14th). COFIDIS, SOLUTIONS CRÉDITS, DELKO MARSEILLE PROVENCE, DIRECT ÉNERGIE, TEAM ARKEA – SAMSIC, VITAL CONCEPT – B&B HOTELS, ROOMPOT – CHARLES, WANTY – GOBERT CYCLING TEAM. 2019 Ardennes Classics: See You At Huy... And In Liège! VITAL CONCEPT - B&B HOTELS. Ø The World’s best puncheurs will vie for the Flèche Wallonne on Wednesday, April 24th. The men and women’s races of Liège-Bastogne-Liège are set on Sunday, April 28th. Ø The Doyenne goes back to Liège with a finish inside the city, after 27 editions set in Ans. The Côte de la Redoute and the Côte de la Roche-aux-Faucons are expected to play a key role in the new finale. Ø The Flèche Wallonne will see the women’s peloton start for the first time from the city centre of Huy, and the female riders will arrive for the first time inside Liège with the new finish of La Doyenne. The dictation will take place in all participating schools (students in the last year of primary education and first year of secondary education in the Province of Liège) on Wednesday 13 March at 10 am. The Province of Liège will organize a prize award ceremony on the occasion of the official team presentation on Saturday 27 April, the eve of the race. 150 to 200 winners will be selected for the ceremony. On the day of the race, the top 14 students will get to attend Liège–Bastogne–Liège (seven at the start and seven at the finish) together with an adult relative. Having unveiled the routes of the five stages - characterized by the established formula made of short and challenging courses - last November in Milan, the Tour of the Alps is now ready to unveil the names of the teams that will light up the Euro-regional race in April, in live coverage all over the World. As in 2018, 20 teams will take part in the stage race connecting the territories of Tyrol, South Tyrol and Trentino, and Bozen - the city to stage the grand finale of the 2019 edition - will host the announcement of the teams list at the Free University of Bozen, on Tuesday, January 29th at 11.00 am CET. The 2019 Scheldeprijs will start in Terneuzen, the organizers announced in a press release. Just like last season, the Province of Zeeland is the starting point for the unofficial World Championships for sprinters, a course of 203 kilometers. On Wednesday 10 April the race will cover 203 kilometers. After the start in Terneuzen, the peloton will race over 150 kilometers of Dutch roads, 20 kilometers more than in 2018. With the cooperation with the Province of Zeeland the Belgian one-day race is made possible. The crosswinds in Zeeland can be decisive on the polders. The finish of the 107th edition of the Scheldeprijs is traditionally on the Churchilllaan in Schoten after two local rounds. The ProContinental teams will soon know if they have been invited to the 102nd Giro d'Italia. Race organizer, RCS Sport, will make the news public on Friday, according to Tuttobici. Originally, the plan was to hand out the four wildcards in the second week of January, but there had been nothing, RCS Sports now say next Friday. Androni Giocattoli-Sidermec are the only ProConti team guaranteed a place due to winning the Ciclismo Cup in 2018. Italian teams: Bardiani-CSF, Nippo-Vini Fantini Faizanè and Neri Sottoli-Selle Italia-KTM also hope to receive invitations. The competition for the remaining places is fierce as Israel Cycling Academy and Direct Energie are also in the running for a start. 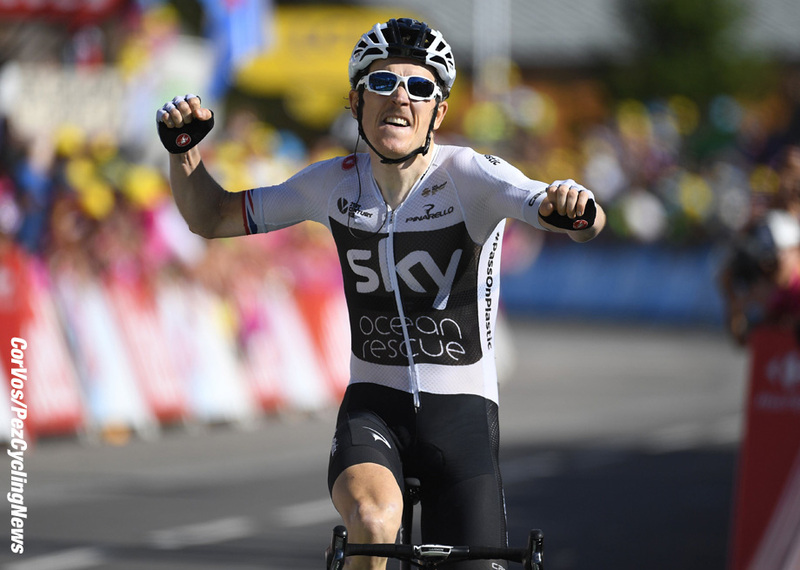 Mauro Vegni, the boss of the Giro d'Italia, would like Geraint Thomas to be at the start of the Italian stage race in 2019. The Team Sky rider is still dubious about his participation, but Vegni would like to welcome him. "What can I say? Of course we want him there." "We have a nice course for him with strong opponents. It is a race where not one rider will dominate. In short, a challenging race for a strong rider," Vegni said. Thomas initially seemed determined to put everything on the Tour de France, but recently seemed unsure. 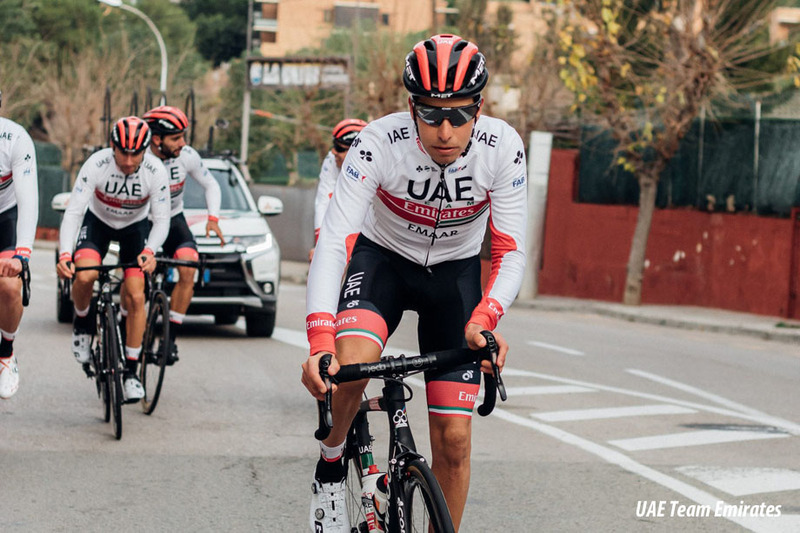 What role the Tour winner would have at the Giro is not known as Sky have already confirmed that Egan Bernal will be the designated leader for La Corsa Rosa. Giro or no Giro for Thomas? Romain Bardet hopes to finally give France a long-awaited Tour victory, which the country has been waiting for since 1985. This year's course looks to suit the AG2R-La Mondiale rider and Bardet believes he can follow in the footsteps of his countryman Bernard Hinault. 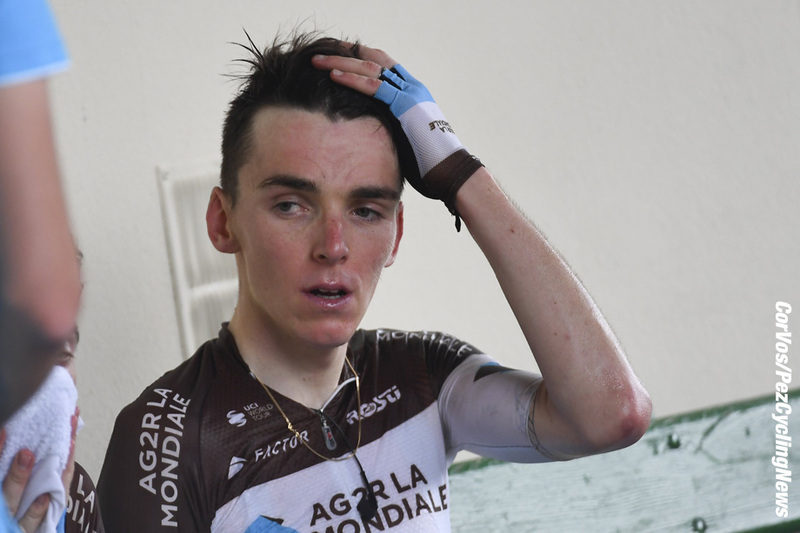 Bardet told press agency AFP: "I need a few conditions to win the Tour, I must at least be spared from bad luck. However, you have no control over some of those circumstances. There is the strength of the competition, their collective strength and ours, my qualities and the need to be able to use them on the big day." Bardet thinks things could go his way in 2019: "I was often in the top 10 here. If I can continue my progress and take the final steps, things must fall into place for me." The Frenchman recently announced his program for the spring. Volta a Catalunya, Spain (25-31 March). "The idea of starting in the Giro d’Italia always hugely motivates me given I’m a climber and there’s that extra bit of emotion added given I’m Italian", the 28-year-old Sardinian explained. "You can imagine my desire to reap some rewards on the road during this Corsa Rosa – rewards I weren’t able to enjoy in the last edition. I have a desire to repay the sponsors, fans and organizers who continued to believe in me in these last months. The Giro’s route offers plenty of serious climbs to balance with the number of kilometers in the time trials. We will arrive prepared physically and technically in order to confront every detail of the race in the best way possible." Aru’s lead up to the Giro d’Italia sees him debuting in the Trofeo Mallorca, January 31 to February 3. He will continue with the Volta ao Algarve, February 20-24, and the Volta a Catalunya, March 25-31. He will train at altitude in Colorado, in the U.S., for his final step ahead of the Giro. The race marks the end of Aru’s first chapter in the 2019 season. 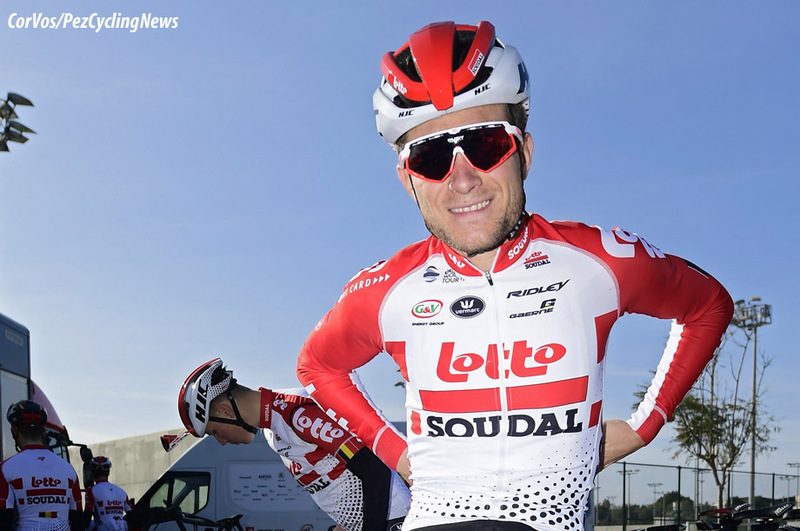 Over a month ago, Lotto Soudal announced the news of the positive doping test by Tosh Van der Sande. The Belgian rider hopes for clarity from the UCI by at latest early February, according to his manager Jef Van den Bosch, who spoke to WielerFlits. "By 10 January we had to deliver all requested documents to the UCI", said Van den Bosch. "That happened. Now we are waiting for a verdict from a UCI appointed committee to investigate the case." Van der Sande is now training in Spain, according to Van den Bosch. "In principle, he has little to worry about, because it is clear that this has been an administrative error. Really a miserable thing. One advantage: for the time being, Tosh has no conditional disadvantage. His first races are scheduled for February. We now hope that we will get clarity by the beginning of February at the latest." The Belgian newspaper, Het Nieuwsblad, has reported that the UCI Disciplinary Committee have announced that there is no case due to the prednisolone that was found in his urine sample came from the use of a nasal spray, Sofrasolone, which is permitted in competition if declared at the time of the anti-doping test. Van der Sande wrote the wrong medication on the declaration form. "The Disciplinary Commission announced today that they are following our statement and the case is officially closed," his lawyer said. Van der Sande commented: "Unfortunately I was initially depicted as a cycling doper, while I only had to make a statement about how the particular substance was found in my urine. It was merely an adminstrative mistake." The Belgian can now continue building towards the new season in peace. "As planned, I am starting in the Ruta del Sol. Then follow the Strade Bianche and the Tirreno Adriatico. Via the Tour of the Basque Country and the Walloon classics, it then goes towards the Giro d'Italia." Van der Sande had been suspended by his Lotto Soudal team. "Teams cannot take any risks in these times and have to protect themselves. I completely understand that. I absolutely do not blame the team management", Van der Sande concluded. 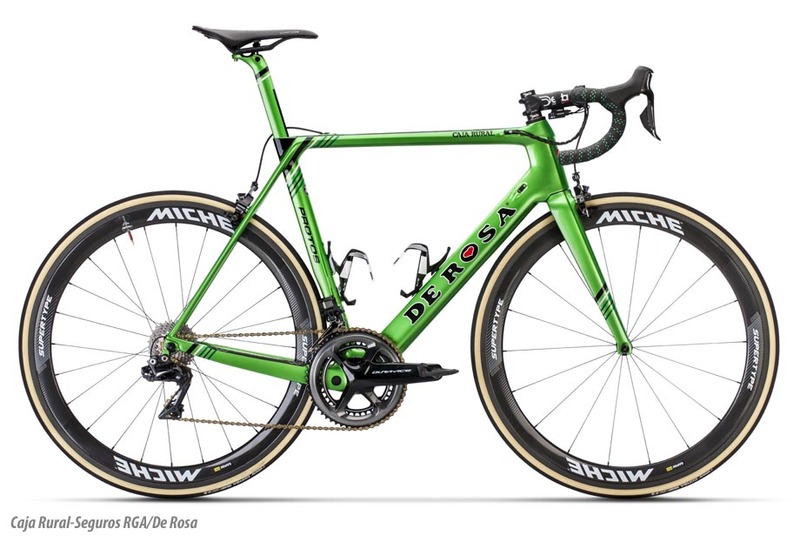 You can find further information and the best images on the website www.derosa-cajarural.com, where you can also buy the same bike used by our riders. 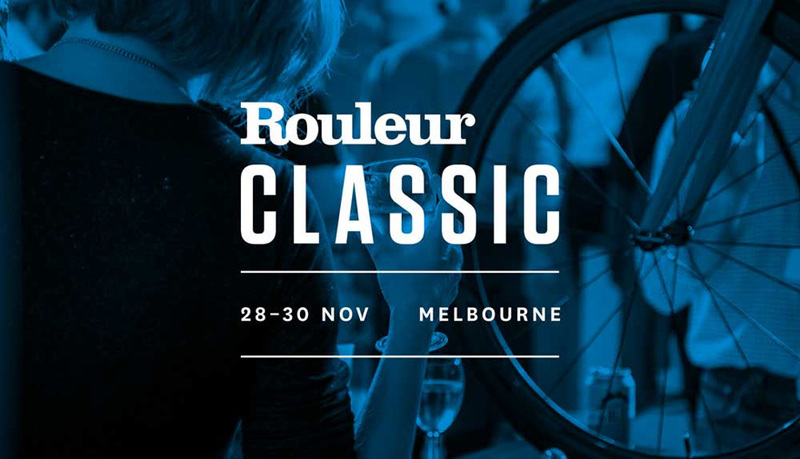 Gruppo Media Limited is delighted to announce the launch of its award-winning annual bicycle show the Rouleur Classic in Melbourne, which will take place from Thursday 28th to Saturday 30th November 2019, at the Australian Centre for Contemporary Art (111 Sturt Street, Southbank VIC 3006, Melbourne, Australia). The show will be produced under license, in conjunction with Corporate Cycling, headed up by Michael Hands and Nathan Lorkin. Corporate Cycling delivers premium bespoke events for corporate clients as well as public events such as the Handmade Bicycle Show, and has a long background in major cycling, triathlon and running events, along with extensive experience in the marketing, design and advertising sector. The Rouleur Classic is the world’s finest road cycling exhibition and hosts a collection of the world’s foremost cycling marques, exhibits and talent. The show provides the opportunity to enjoy both the professional athletes and brands at the very pinnacle of cycling in a relaxed but prestigious environment. There will be a stellar line-up of guests and pro riders in attendance, to be announced over the coming months, together with all the leading cycling marques, exhibiting the latest cycling apparel, components, technology and much more. The theme for the 2019 edition of the Rouleur Classic is the Grand Tours, three legendary races that are highlights of the season for true cycling fans. Rouleur Classic is officially partnered with all the race organisations and will be helping them bring the unique aspects of each race – Tour de France, Giro d’Italia and La Vuelta España – to both the London and Melbourne shows. 2019 also marks the 5th Anniversary edition of the show in London – marking a very exciting year for the innovative live events brand. The London event will be held in the same spectacular venue as 2018 from Thursday 31st October to Saturday 2nd November 2019 – Victoria House, in the heart of London’s Covent Garden. This spring Belgian Cycling a new initiative. It will launch an app so that everyone can follow the Belgian races live. "In all races where we use the radio," says general manager Jos Smets. 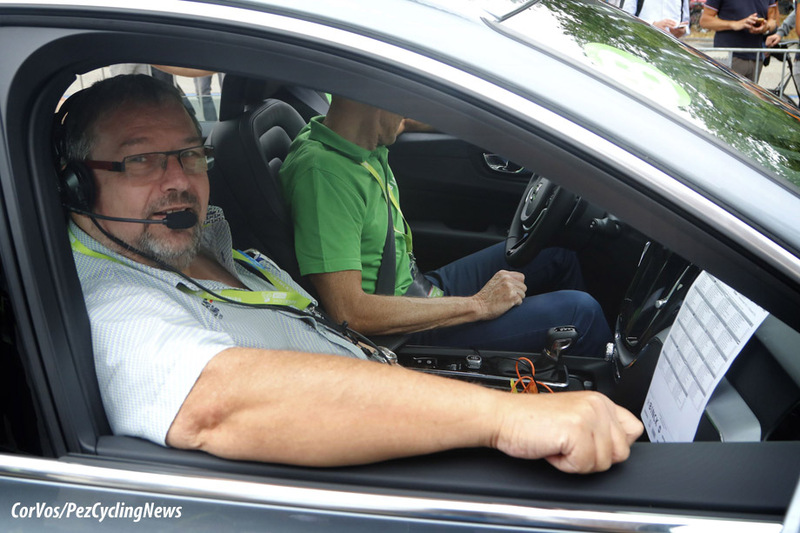 The new sevice makes it possible for every fan to listen to what the DS hears in the team car. "In the past you had to buy a receiver and be close to the race. Now you only need a good working internet connection," Smets tells Het Nieuwsblad. It will be both big and small competitions. "And the interclubs in the youth categories." Because the app is still in a test phase, its use will be free. "In the middle of the season you can take out a subscription, because we also have to pay for our frequency," Smets said. The Russian professional cycling team Gazprom — Rusvelo is finishing the build-up for upcoming races at the second training camp in Spain. Gazprom — RusVelo is performing a block of prep work with less than two weeks to go before the debut in the races. 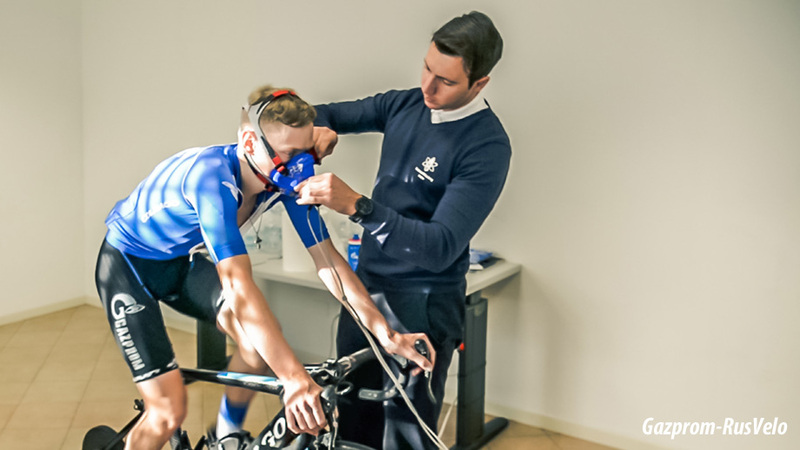 In the first part of January riders did several physiological tests in Italian sport science center ScienceOfCycling Italia, before coming back to Calpe to work hard for the beginning of the new season. "With the members of the team we have completed the building phase according to the programs." DS Michele Devoti says "the main goal was to refine their shape and check the parameters of each rider. The work was quite scrupulous, thanks also to the nice atmosphere that has been established in the team and with Simone's staff during the tests at the beginning of this year"
For this season, the team has chosen to work with ScienceOfCycling Italia to perform physiological tests and have scientific support for the evaluation of athletes. "The riders have undergone the VO2 max tests and all physiological assessments at our lab in Milan and provided us with encouraging feedback, so I think everything’s ready for 2019" says Simone Casonato, sport scientist and director of the company. 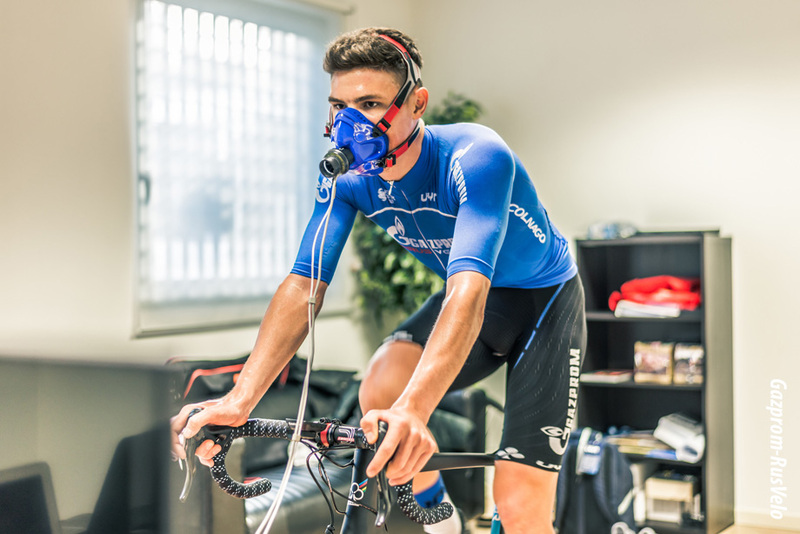 After a series of VO2 max tests already carried out, Gazprom — RusVelo will continue the collaboration with ScienceOfCycling Italia through a series of seasonal evaluations. All the assessments will be managed with modern technologies and equipment, in order to monitor and evaluate their parameters to have a successful season. Sharing his wealth of experience, Hayman is known for his selfless teamwork and guidance as a valuable road captain and an inspiration for many. Results wise, the 2016 Paris-Roubaix will always rise above, but there's a lot more to Mathew Hayman than that one magical day. Sam Bewley: “I really enjoyed my years racing with Mat and consider myself lucky to have been able to do so. Although he still always had ambitions of his own he was always the first to offer help and guidance wether that was through conversation or by leading the way on the bike. Michael Albasini: "It was a big pleasure and honor to be a team mate of Mathew Hayman. I remember before he joined GreenEDGE I listened to a discussion about Australian world championships selection. When they went through a possible roster they started with his name before anybody else. I asked why they were they so sure he’ll be selected. They told me, that he’s always the first rider selected because he is indispensable for every team." "The next season, he joined us and I understood quickly what they meant. He always was the most reliable rider when there was a difficult job to do. For nearly two decades, race by race!" "Of course his amazing win at Paris-Roubaix remains in the mind of the people and shows what a big rider he is, but the proper significance of his career you only can understand when you have raced as his teammate. I’m very happy that I had the possibility to be his teammate. Thank you Hayminator for a great time!" Gracie Elvin: "I always admired Mat’s career from afar but didn’t get the chance to get to know him better until he joined GreenEDGE. I look up to his work ethic and relate to his love of the Classics, as I love them so much too. His persistence with his favorite race Paris-Roubaix was motivating even before he won it, but I will never forget that epic day. His words “Just keep riding” struck such a deep chord with me and they are words I tell myself regularly when times or races get tough. Esteban Chaves: “I’m sure you will feel nervous in your final professional race like you felt when you were participated in you first professional race, that is because you love this sport, you are a professional guy and always you want to do the best. "I joke a lot to you because I say you are old and you know is true, but even when you are 40-years-old you continue to act like a young fella, feel nervous, anxious and maybe some times scared. This is why you are a good example for the team and the young guys because we can see is completely normal having this feeling and continue to go and train, race and follow the dreams." "Thanks ´Boss` for all your words, for sharing with me your experience, I’m pretty happy because one day I will say to my grand children about how you became a ´KING OF THE NORTH` with so much pride and excitement. See you soon for finish our business." Simon Gerrans: “For many years Mat Hayman has been one of the most respected riders in the peloton. I admired his work ethic and his professionalism. Mat and I were teammates at Team Sky, GreenEDGE and many occasions representing Australia. Luke Durbridge: "Hayman has and will continue to be a role model of mine. The way he is such a family focused, caring and well rounded Aussie bloke but still does not compromise on doing the extra one percent for performance." "I've always been amazed by Hayman’s attention to detail in the way he approaches his life. Nothing is left to chance and that’s why he has been our fearless leader for so many years. Watching and being apart of him winning Paris-Roubaix was still to this day, one of the best moments for me on the bike. Hayman is a role model but also a good friend and I have so much respect for him." "I’m super excited for what’s next for Hayman and I’m just glad that we get to have him around the team still and will get to hang out and chat through his classics war stories and hopefully I can continue to learn even more of such a great character of our sport."